At first glance, you might think this is a sauce bowl or pitcher used at the dinner table. However, it is something quite different all together, and would most definitely be an unwelcome addition to a table spread. 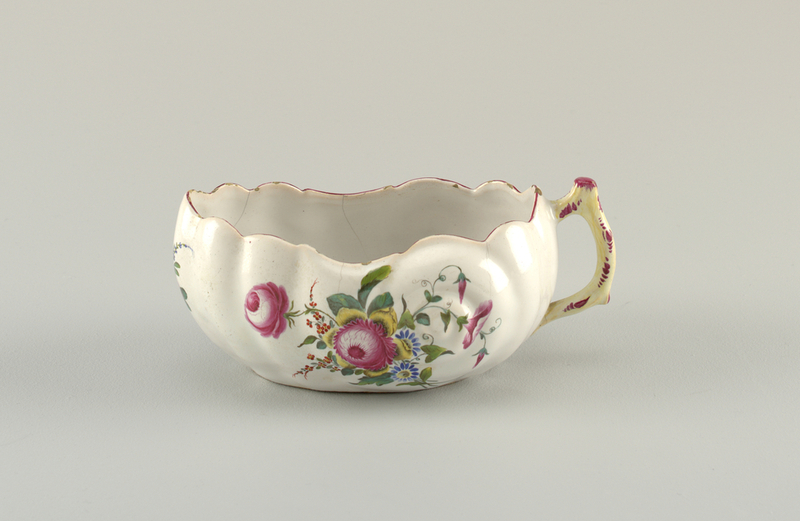 The bourdalou, in fact, was a type of chamber pot that was specifically used by women up through the Victorian Era. With skirts being as large and unwieldy as they were, using the facilities could become quite the to-do. The bourdalou was a relatively easy way for women to relieve themselves without having to worry about messing up their dresses. With the help of a maid, or on her own, a woman could place this under the many layers of fabric of her dress in order to answer the call of nature. The legend goes that the bourdalou was named after a French preacher, Louis Bourdaloue (1632-1702), who gave notoriously long and popular sermons. Women, not wanting to give up their seat, or miss a word of the sermon, would use a bourdalou in the pews! However it is unclear how much truth there is behind this story, and there are those who argue both for and against the veracity of this legend. In any case, it does seem doubtful a woman would relieve herself in a crowded audience just so she wouldn’t miss a sermon, no matter how discrete or pious she may be. More realistically, this might really be a gender-specific chamber pot that could travel or be set into a piece of furniture such as the museum’s Louis XV beechwood bidet chair with ceramic liner (1968-114-1-a/c) to which these are related. Nice write up, Kate! Who knew? This is way too beautiful to pee in!!! And how did they manage with all that clothing. Enjoyed reading your blog, Kate.